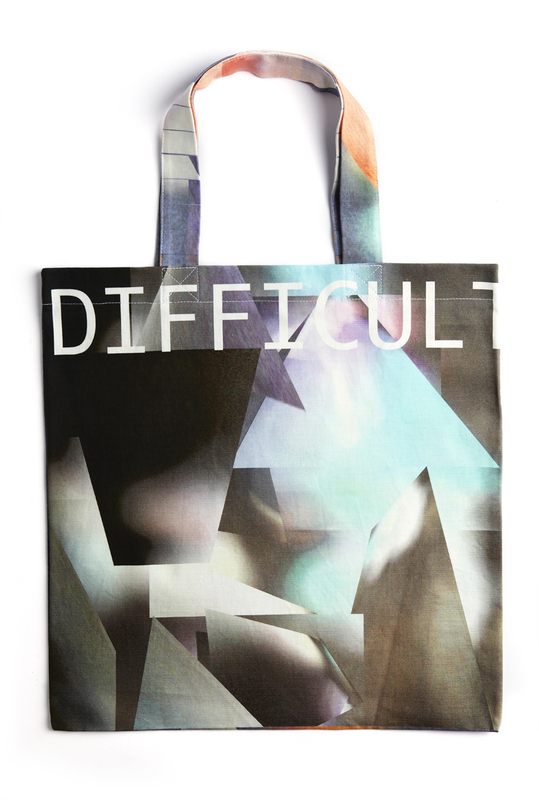 The concept for TOTES is simple, totally great bags designed by totally great artists. 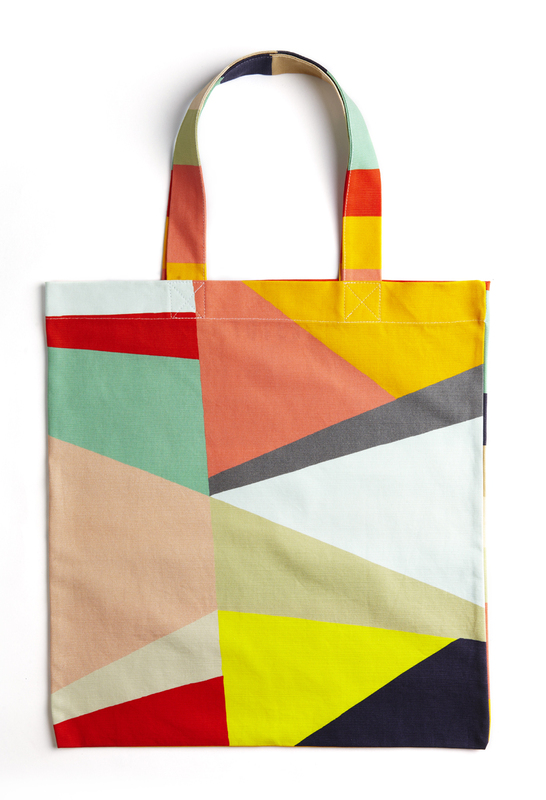 Curated by Sydney designer Liane Rossler, Carriageworks has commissioned these limited edition tote bags from Australia’s most exciting artists and designers including Pip & Pop, Louise Tuckwell, Eager & Vane, Province, Amanda Picman, Sian McIntyre, Marian Tubbs, Rittenhouse and Province. The works presented here are available for purchase exclusively from Carriageworks. 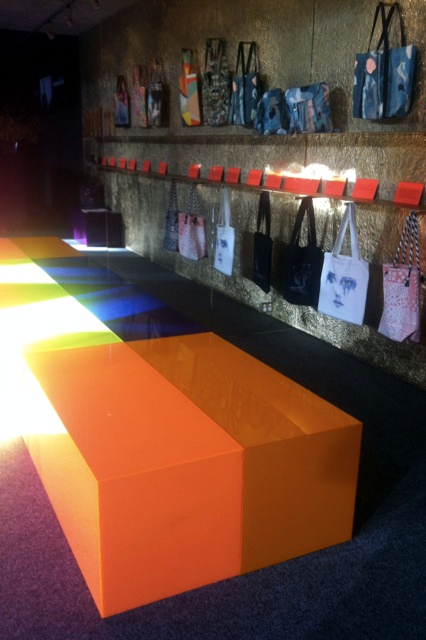 TOTES reflects the Carriageworks mission: artist driven, ambitious, risk-taking and unrelenting. Amanda Picman is a self-taught watercolourist, based in Sydney. Art and craft is an integral part of Amanda’s life, however she has developed a preference for the soft, yet raw tones and fluidity of watercolours. Between freelance work, contracting and studying graphic design, Amanda finds time to practise what she loves and produces exquisitely detailed and vibrant works that portray a truly emotive reflection of human life. With backgrounds in Fine Art, Graphic Design, Illustration and Web Design, three sisters Sarah Vane Howell, Dana Eager and Cass Eager Howell are highly respected in their individual fields, and now together they create images that blur the line between art and fashion. Working as creators and artists, some of the projects they have undertaken include commissions for London Fashion Week, designing for Topshop and the recent “We Are Here” Streetwear 4 monster mural in Foley Street Darlinghurst for the City of Sydney. Harvest Textiles is a Melbourne based brand that specialises in hand printed textile products. All items are designed and made in their East Brunswick studio. Lara Davies, Jess Wright and Emma Byrnes have built a loyal following through their ever changing limited edition ranges, as well as their screen printing workshops. Harvest Textiles have created three new bags for the TOTES project that showcase their signature prints in wintery tones. Justin Balmain is a Sydney based artist that works across media, in an attempt to consider visual possibilities of painting through new forms and mediums. Balmain commenced his Master of Fine Art at the Otago School of Art in Dunedin, New Zealand, in 2009, before completing his studies at the College of Fine Arts in Sydney in 2012. He has exhibited widely in Sydney, as well as numerous group shows around Australia. In March 2012 he exhibited a new body of work at the Dunedin Public Art Gallery, in New Zealand, which is supported by an Australia Council for the Arts New Work grant. Balmain is currently a co-director at Firstdraft Gallery in Sydney. “I am a Sydney based non-objective artist who paints and makes tapestries. My vibrant acrylic paintings with their cleanly defined forms of colour are often multi-paneled works. The tapestries appear as delicate, intimate lawns of half-cross stitching. For me it is about the doing, the process, the feeling as much as the outcome. With the paintings I block them in very quickly, then they become time intensive as I paint several layers of the same colour within the same form, for opacity and density. Therefore, the physical presence of colour is equal to the formal, hard-edged shapes. The tapestries echo the paintings and provide a varied syntax. A work in progress. My work is in the following collections - Museum of Contemporary Art, Sydney; Artbank; The Bathurst Regional Art Gallery; New England Regional Art Museum; Allens Arthur Robinson + many private collections”. Marian Tubbs is an artist who uses familiar materials in a sculpture and installation practice to investigate notions of value, pleasure, and reality. Upcoming and recent exhibitions include, Disappearance as Work in Progress, Maldives Pavilion, (55th Venice Biennale), Venice, 2013, Title TBC, (Rooster Gallery), New York, 2013, Home is where one starts from (Yuill Crowley), 2013, Sydney, Janis, (Alaska Projects), Sydney, 2013, Same, (Feltspace), Adelaide, 2013, Photo-Sculpture: Images, Objects, and Paradox, (MOP Projects), Sydney, 2012, and Have you ever been to the House of Cashmere? Maybe we could go and just roll around sometime? (DB Project), Sydney, 2012. Marian has completed residencies at the Cite Internationale des Arts, Paris and Artspace, Sydney. Her work has featured in numerous publications including Art & Australia, Art Asia Pacific, Un magazine, Runway magazine. She has taught in Sculpture and Media Studies at the College of Fine Arts UNSW and at Notre Dame University. ‘A theme that runs through my work is the active collision art and design aesthetics. I enjoy making artwork that signifies some function or purpose but in fact is useless, a dissident design for pleasure. What I was attracted to with this project was challenging and stretching the material expectations of a bag. I took photographs of light and gradients out of focus and then skewed the perspectives so that light itself became sculptural on a 2d plane. 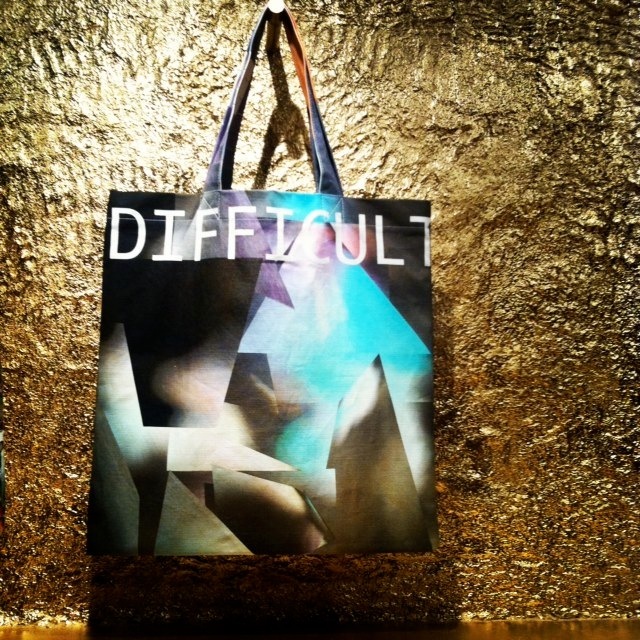 To further question the tensions between art and design, the words ‘Difficult Art’ are printed on to the bag so that they are difficult to read. The text is printed like a brand catchphrase referencing the commonplace use of tote bags for advertising’. Pip & Pop (Australian artist Tanya Schultz) creates super-colourful artworks from materials such as sugar, glitter, sweets, toy animals, plastic flowers, and everyday craft materials. Her installations and sculptural works are like joyful wonderlands filled with exquisite detail and fantastical surprises. She is fascinated with the idea of paradise and wish-fulfillment as told through folk-tales, mythologies, children’s stories, video games and cinema. Tanya has exhibited her work throughout Australia, Japan and Europe. In 2011 she exhibited We miss you magic land! a large scale project at the Children’s Art Centre at the Gallery of Modern Art Brisbane. Her recent works (2012) include Seeing forever at Kuandu Biennale (Taipei), Love grows a flower at Spiral (Tokyo), If you find me in a dream at Hermes Japon (Tokyo), and Moon flower dream at Smart Illumination (Yokohama). She has been awarded many grants and prizes including the Qantas Contemporary Art Award in 2009. ‘The work is loosely based around a Taiwanese folk tale The little frog in the well, a story of discovering the magic of a world beyond what we can imagine. The images are of a temporary installation created in Taipei for the Kuandu Biennale, made from hundreds of kilos of coloured sugar, glitter, beads, modeling clay, plastic flowers, sweets and all sorts of cheap and colourful materials’. Province is a multi-disciplinary creative studio that works between the realms of art and design. Province was established in 2011 by Laura Pike and Anne-Louise Dadak, and has a flexible approach to the creation of work- from small scale illustration to large scale public artworks, exhibitions, publications and engaging creative spaces. Province works as art director, curator, artist, designer, producer and collaborator, and enjoys navigating through different roles to build a stronger practice. The partnership invites collaboration and exchange of creative skills wherever possible with the broader creative community. Province works to balance the creation of artistic output and more commercial projects, attempting to build a sustainable model for creative practice in an increasingly competitive industry. Our education background in Design (at College of Fine Arts), along with our co-directorship of The Paper Mill gallery in Sydney CBD has forged a multidisciplinary approach to all our work. ‘Driven by an interest in the value of patterning within the everyday and the importance of hand generated works in a digital age, these bags are a reflection of our design philosophy. They exist somewhere between art and design, analogue and digital, old and new. Province has designed an all over repeat of tile-like patterning, inspired by recent adventures in Lisbon. The bags are cut individually from the hand-screened cloth and put together on the premise that no two bags are the same, but they are all connected. Province has designed and produced the bags in-house, every step of the way. All bags are made using locally sourced materials and suppliers, including hemp cloth and water based fabric pigments’. Husmann/Tschaeni live with cats, goats and fish in an idyllic Swiss lake valley. They are making art, the stories of their daily life. The last chapter of their great grandmothers, the birth of kittens, the passing of their goat, fallen trees in the neighbouring forest, the growing of their kids. The visual stories have been told successfully from Melbourne to New Delhi, Berlin and Los Angeles. ‘Roots Spirits’ ‘Living blackberry-roots from our garden play around the porcelain clown and dwarf sharing a decorated wooden table with the stuffed falcon. Guarder Kitten lurking around a red box hiding some sunset-secrets. The blanket’s being picked up by some feathered spirits upon unknown heights. A scenery including outlandish children happening on the back of a flying giant above the lacey-shaped clouds’. Romance Was Born collections are irreverent and fun loving, fabric and colour combinations are what inspire their playful outfits where sparkle, texture and bold prints jostle together in a harmonious jamboree of style. Romance Was Born is much loved for their original larrikin spirit, poking a cheeky tongue at convention. Romance was Born’s entirely Australian production adds another layer of integrity to their label. Their love of Australia has helped them remain honest to their brand’s distinctive style, our vibrant Australian characters and diverse landscape is a source of constant inspiration but there is nothing daggy or jingoistic about Romance was Born. They are flamboyant couturiers whose avant-garde use of fabric and colour is restrained only by the limits of their own imagination, which is boundless. Siân McIntyre is a Sydney based artist. Her practice is concerned with the questioning of values around place, site, history and culture. Extended periods of time in Papunya, NT and extensive research into Australian colonial history and English colonial practices continues to inform her ongoing research. “Homestead’ references English colonial ideas of ‘improving’ the land through fencing, farming and building to establish ownership. These practices, as described in Patricia Seed’s “Ceremonies of Possession in Europe’s Conquest of the New World, 1492 – 1640” highlight the cultural differences in the occupation of land. I am particularly interested in studying contemporary ceremonies of possession in Australia today. The notion of home ownership and fenced land as being a signifier of wealth and success continues to inform much of my understanding of what it means to belong or exist in an environment. Safety and protection is sold to us in the shape of domesticity and financial security. I see direct contrast to this common understanding of land and home ownership in Papunya, where the majority of the houses are rented from the government and land is seen to be far greater, more significant and all encompassing than a quarter acre fenced off block. 1. Burke & Alexander Sts Townsville. Gma Sue born here. Using my own family history I deconstructed these photographs, removing the homes from their original context. The resulting image is suspended in space, without grounding or fencing to define exact boarders. While hints of habitation remain, the house itself becomes surreal, representing a series of stories and history rather than a particular location or structure. This house is not owned, and does not make claim to any one particular site – it is comprised of personal narrative and memories of a time and a place that no longer physically exists”.